If you’re like most people looking to buy a house, you’re probably going to need to get a mortgage. The trouble is, how do you know what to look for? 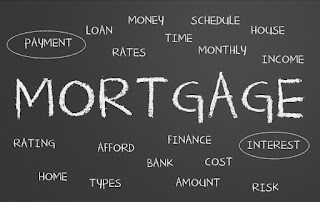 It can be a challenge to find the perfect mortgage for your particular situation, but the great news is that there is a mortgage product out there that is perfectly suited to every situation. The trick is to find the best mortgage rates you can. When looking for the best mortgage rates Saskatoon residents should consider the following things. Basically, there are two types of mortgages: fixed rate mortgages and variable rate mortgages (also known as adjustable rate mortgages). First, let’s look at fixed-rate mortgages. A fixed-rate mortgage means that the rate does not change throughout the entire duration of the mortgage, either up or down. That offers the borrower a consistent and predictable loan payment amount each month. The benefit of that is that the borrower can easily budget for the payment every month. With a variable rate mortgage, the amount you have to pay each month will changed based on the current rate at the time the payment comes due. This could mean that one month you pay less than the previous month, and the next month you will pay more. Interest rates on a variable rate mortgage are typically lower than those on a fixed-rate mortgage. Whether you choose a fixed-rate mortgage or a variable mortgage, you’ll have to do some homework to get the best rate possible. It’s important to know that each lender will offer you a different mortgage product. Just as you would shop around for the best price on a car, you should also look around for the best price on a mortgage, too. And it goes beyond just the price. You’ll have to weight all the factors, including the interest rate and other bonuses that might be included by certain lenders. You can either do the comparison shopping yourself or enlist the help of a mortgage broker to help shop around for the best deal for you. When you shop around for a mortgage it’s important to know your credit score. If it’s less than stellar, you should probably take some steps to improve it before you start looking for a mortgage. Why? Because the better your credit, the lower risk you are to mortgage lenders and you will probably qualify for better rates. Always look for hidden fees. When you find a mortgage product you are interested in, always assume that there will be hidden fees and ask about them. Ask your lender to give you an itemized outline of exactly what you will have to pay each month, including any associated fees. Those fees could make an affordable mortgage more expensive than you thought, so always get a clear picture before you sign on the dotted line. One final word of advice: Remember that an offer from a mortgage lender is just that – an offer. There may be room to negotiate a better deal for yourself. It never hurts to ask!